You’ve heard that curiosity killed the cat, but it was actually superstition that did her in — particularly in Medieval Europe and early North American settlements. 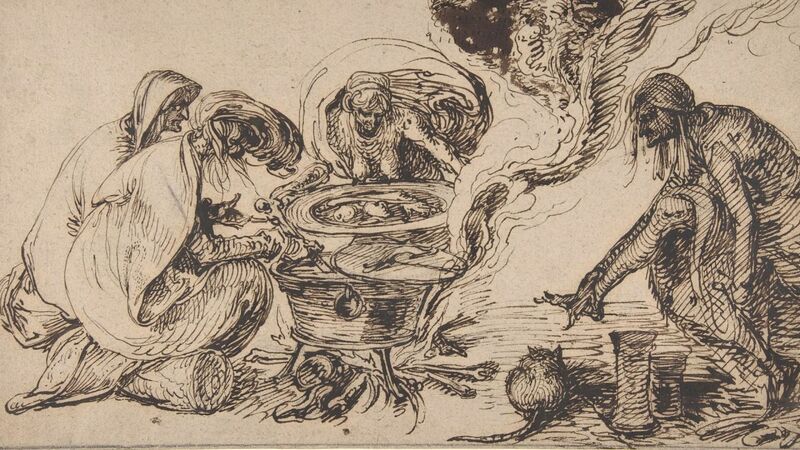 Understanding how cats became steeped in superstition requires some eye of newt, a dash of folklore, and a splash of old-time religion. Cats originally were highly esteemed in ancient Egypt. (It was a capital offense to kill one!) According to The Domestic Cat: The Biology of its Behaviour, Egyptians kept cats as pets, and, when a family cat died, mourners shaved their eyebrows as a “mark of respect.” Such reverence for cats was no coincidence. With a woman’s body and a cat’s head, the Egyptian goddess Bastet was a positive symbol of female sexuality, fertility, and motherhood. In the 1903 classic The Book of the Cat, Frances Simpson writes, “It was believed that the Devil borrowed the coat of a black cat when he wished to torment his victims.” The result? Black cats were frequently chased, tortured, and burned alive—especially during religious festivals and feasts. Couple that with the nocturnal creature’s “glowing,” light-reflective eyes? Now you’ve got even more of the stuff of superstition.